Phuket (pronounced “Pooket”) is the largest island in Thailand measuring 540 square km it is compared with Singapore that is a similar size. It is difficult to state the number of people living in Phuket with the number of tourists that visit the island together at any one time but is considered over 250,000 persons. There are around 35 beaches on Phuket - some well known by the tourists and some are quite stunning and secluded with clear waters but difficult to find and we call them 'secret beaches'. However in time we fear these will also be developed to accommodate the beach hungry tourists. 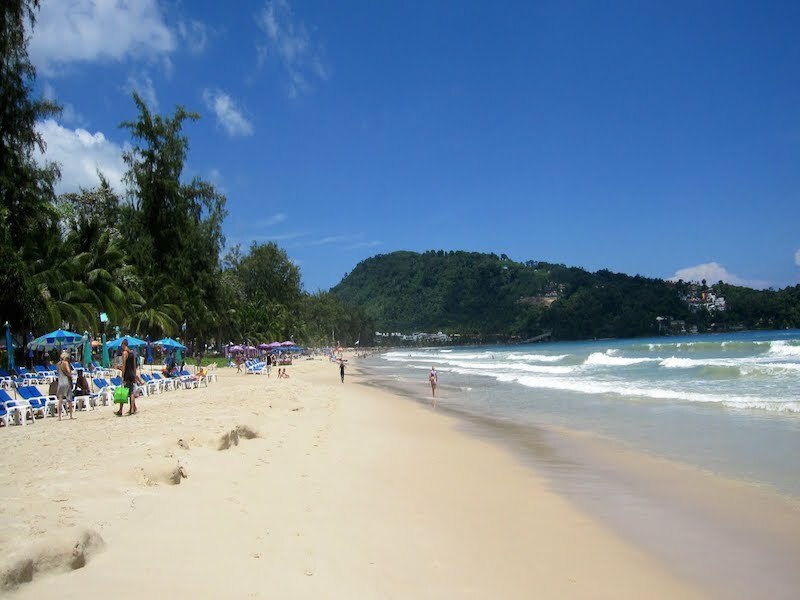 Patong beach is the most popular beach located on the west coast and is now more or less a resort rather than the fishing village it was around 15 years ago and tourism here gives a big boost for the Phuket and Thailand economy. Agriculture including the farming of coconuts, bananas, pineapples etc is still a major source of income for Phuket as well as the fishing industry and a number of rubber plantations cover large areas of land. 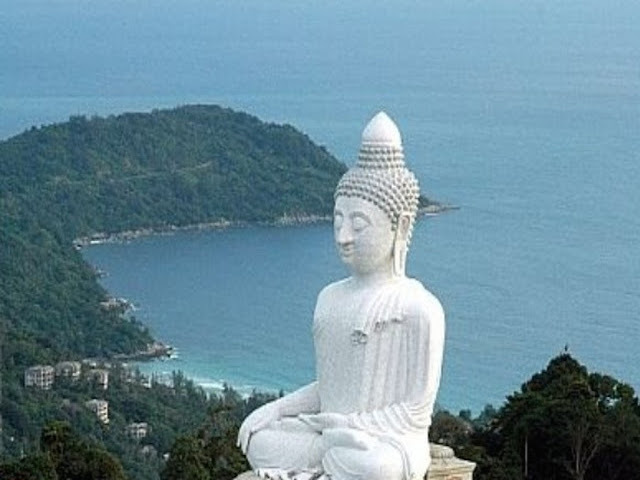 Phuket is the most visited tourist spot in Thailand and attracts more than 3 million visitors annually and it's sheer size and what it offers allows visitors to escape from the madding crowds. Limestone cliffs and palm-fringed tropical beaches and calm azure blue waters give Phuket it's popularity and are its biggest draw with each beach having a character and charm of its own separated by picturesque headlands. However exploration by trek or by elephant of the inland areas can be an interesting diversion with it's plantations, rice paddies and rain forest. 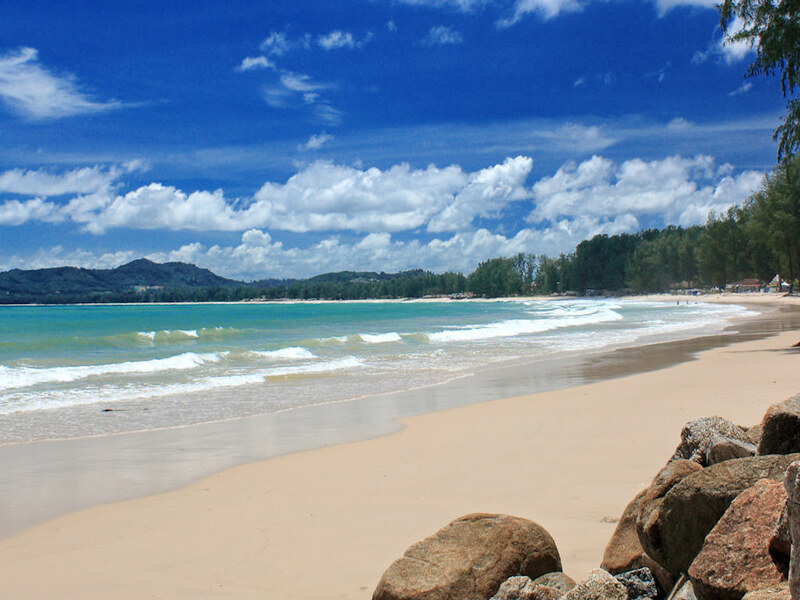 Phuket's weather conditions are dominated by monsoon winds that blow year round. It is therefore always warm and humid. There are two distinct seasons -- the green season ( May - October) where the climate is pleasant and cooler but expect some heavy showers - and the hot season (November - May) when short heavy thundery showers give a welcome relief to the humidity at this time of the year. The Andaman Sea is blessed with crystal clear water, beautiful geography and warm weather all year round. 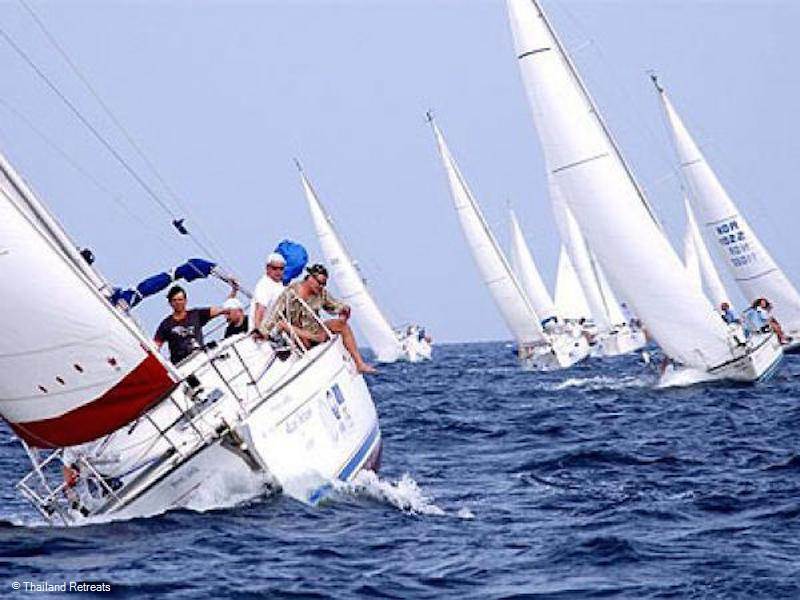 It remains Thailand's leading destination for sailing, and one of the primary sailing centers in South East Asia. The clearest and the calmest waters are off the west coast of the island near Patong. Sailing and yachting around Phuket offers some resplendent sights to the north, west and south of the island. 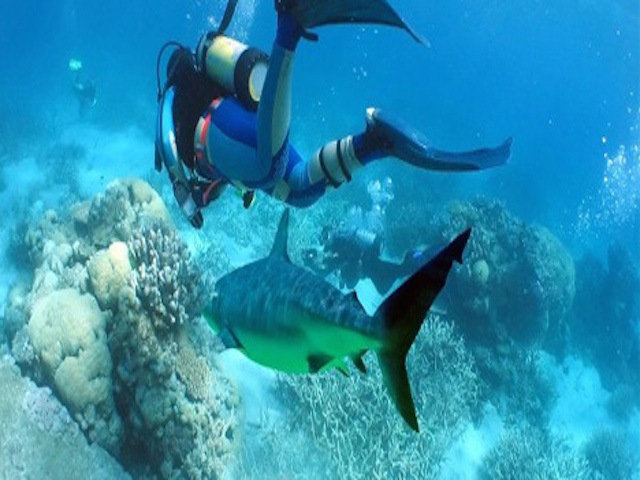 The highlights include Pi Pi Islands, Phang Nga, Krabi, Similan Islands and Surin Islands. 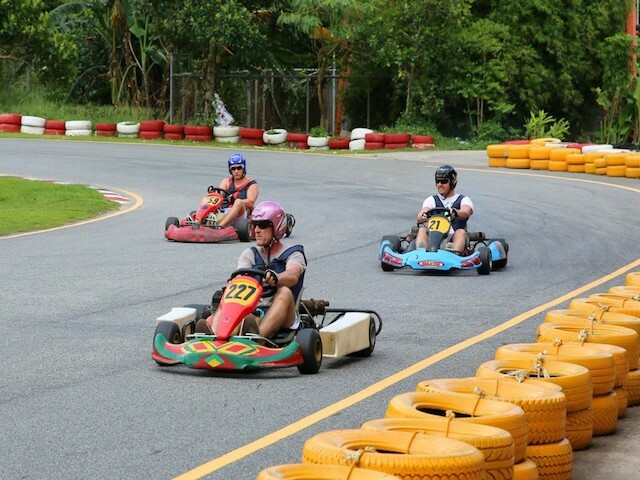 Phuket has a number of watersport based and other activities to choose from as listed in the 'Activities' section however we have listed below a few of the many attractions that can be seen at a leisurely pace. 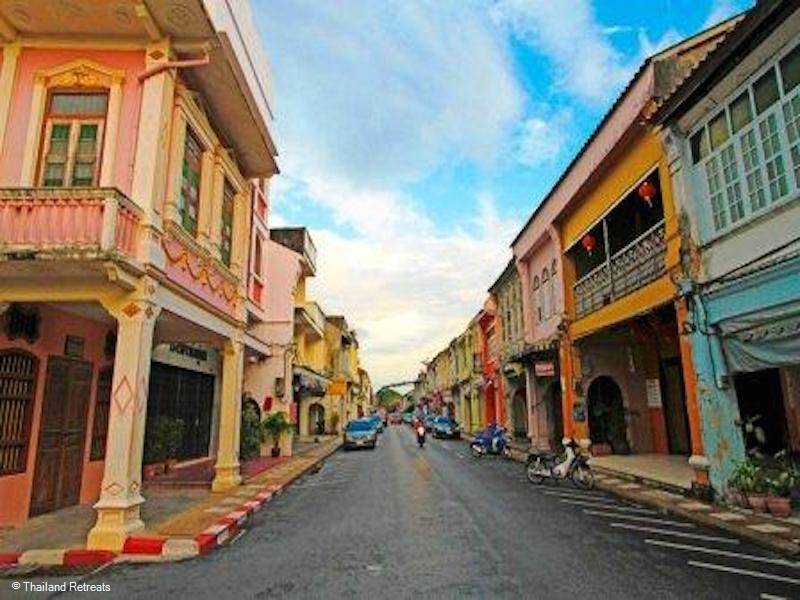 Take a half day trip and see the beautiful shop houses of Old Phuket town to these old Sino Portuguese streets which also has many cafes, bakeries and other eateries to enjoy. There is also a 'walking street' market on Sundays. This show is quite an extravaganza very professionally presented. Including traditional dancing, trapeze artists, Thai warriors on elephants and everyday scenes recreated with a great sound-and light show, it provides a glimpse into some Thai myths and legends as well as a bawdy pantomime style entertainment. In the land of the "katoey", Simon Cabaret is one of the biggest, glitziest, most glam cabaret shows around. The entertainment features a spectacular musical, performed by this very professional, entertaining troupe of "girls" all wearing out-of-this-world feathered and sequined numbers, and performing choreographed routines. Fabulous fun. The island is approximately 860 km south of Bangkok and located in the Andaman Sea off Thailand's west coast that is part of the Indian Ocean, Phuket or 'The Pearl of the South' is connected to the mainland by the Sarasin Bridge. Phuket airport is an international airport and Thailand's second busiest hub behind Bangkok. Flights arrive direct from all over the world including Singapore,, Hong Kong, Kuala Lumpur, Penang many cities from Australia and Europe as well as domestically from other Thailand destinations. There are no direct train rail services to Phuket, although a train from Bangkok will take you to Surat Thani where a bus can be taken for a 2 - 3 hour journey to Phuket. If you prefer a bus ride the overnight air conditioned bus from Bangkok is the best option and will take 12 - 14 hours to Phuket. 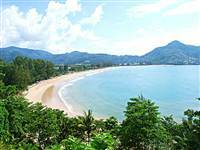 Ao Po is located on the north east coast of Phuket and just 25 minutes from the airport and well away from the tourist crowds of the west coast 30 minutes away. The bay surrounded by mangrove forests and nursery grounds for aquatic animals it is also a nature lovers dream. The area is home to Ao Po Grand Marina with berths for super yachts up to 80m in length and is known as the best destinations for yacht lovers and those craving a luxury getaway in Phuket. 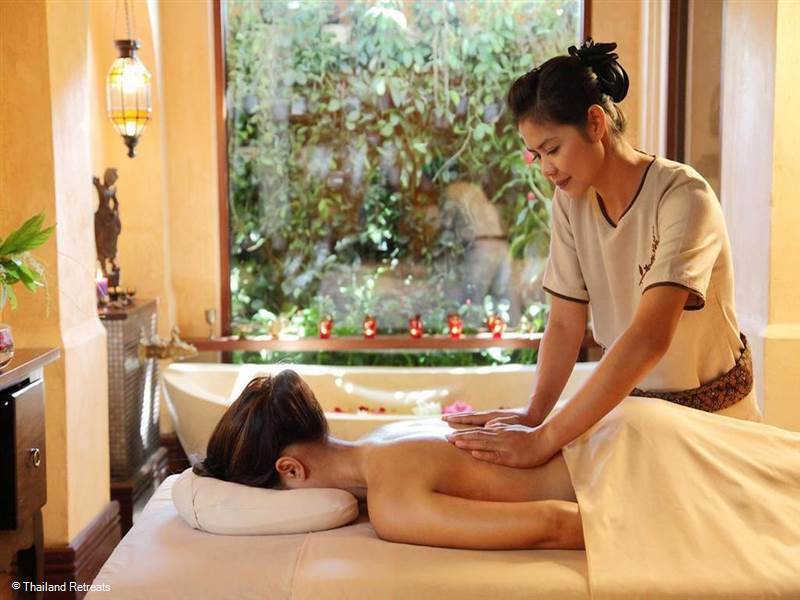 Bang Tao is situated in the north of Phuket, 25km from Phuket airport. 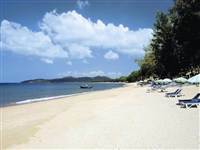 Bang Tao has large stretch of sandy beach and is within walking distance of Surin. 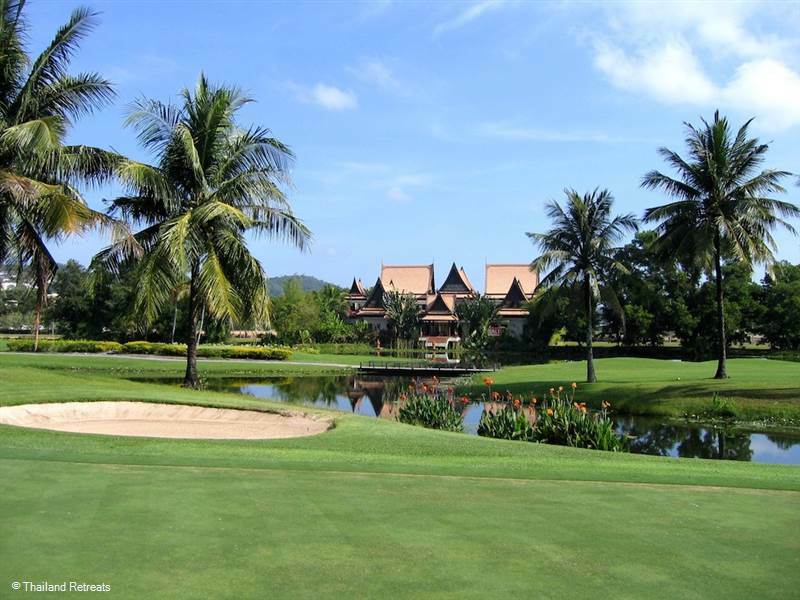 This is a peaceful area that is home to a large luxury holiday destination resort called Laguna Phuket featuring a golf course and many restaurants, bars and boutiques. The Splash Waterpark is close by and great fun for the kids. 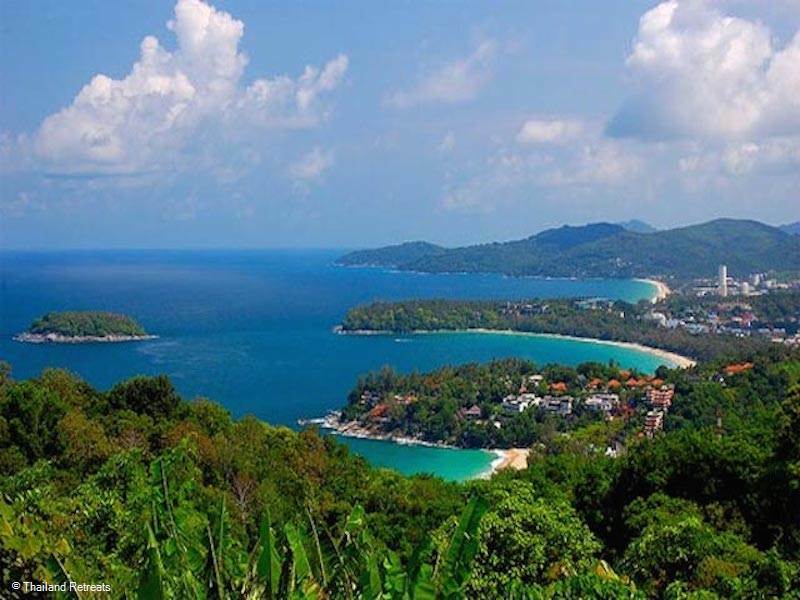 Cape Panwa is a 'green' hilly peninsular located in the south east of Phuket. 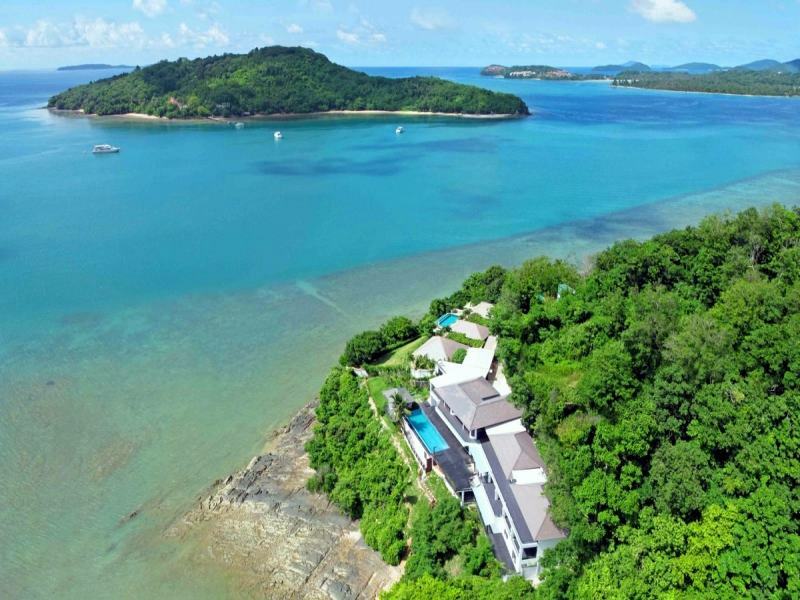 It is attractive to many for it's stunning views over the small islands to the south of Phuket and its peace and tranquility, it's well away from the hustle and bustle of the beaches in the west coast. Cape Yamu is an "Little Italy" shaped peninsular jutting out on to the beautiful Phang Nga bay overlooking a number of small islands on the north east coast of Phuket. The whole area has fantastic views. The area has become known for it's exclusive high end luxury properties which have now been made available for short term holiday rental and we include a number of these in our portfolio. 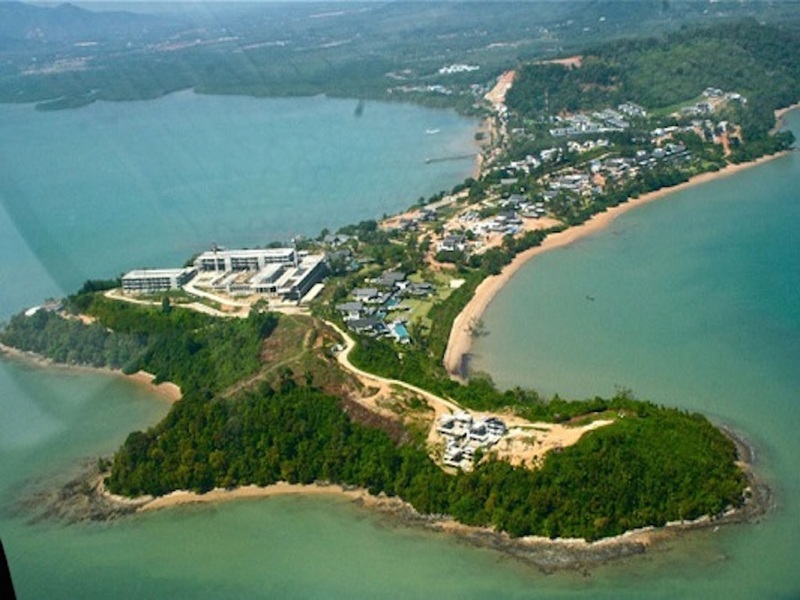 Chalong Bay is rigidly associated with all things nautical. The muddy shoreline makes it unsuitable for recreational swimming, but the Ao Chalong Yacht Club makes its base here. 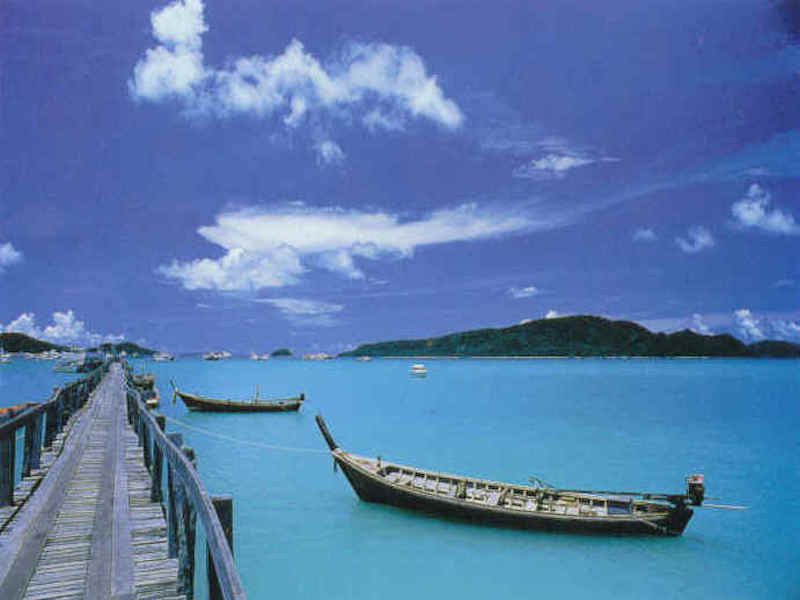 Many depart from Chalong Pier to visit beautiful Phang Nga Bay, island hop or go on diving and snorkelling excursions. 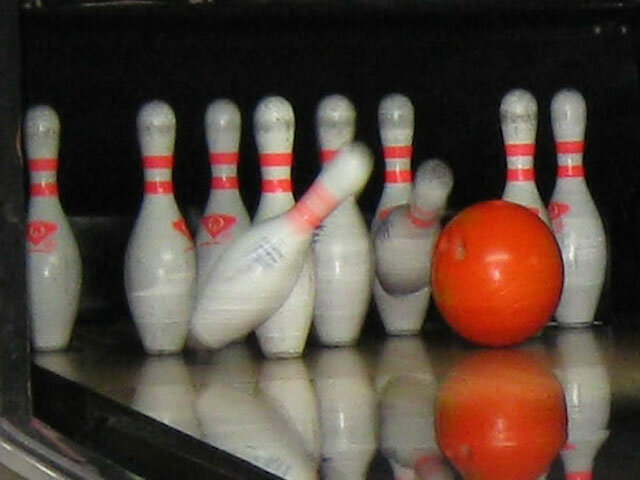 The area also hosts activities such as golf, go-karting, climbing, shooting and paintball. 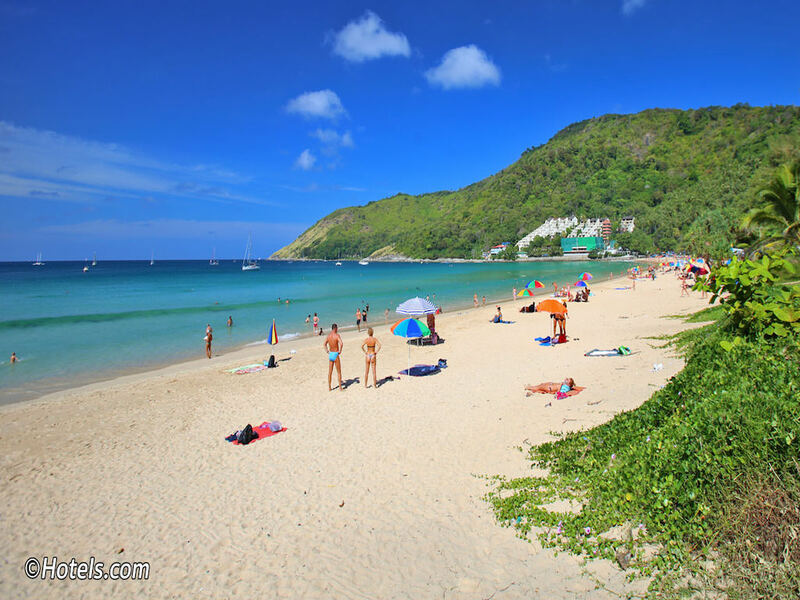 The Nai Harn Beach area is located in the south of Phuket and is considered a laid back area compared with the west coast where the majority of tourists aim for. 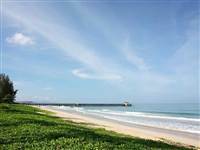 The area is home to two famous viewpoints and other nearby white sand beaches as well as a good choice of restaurants. Nai Thon beach is a quiet beach, unspoit and relatively untouched, located south of Nai Yang Beach and just north of the smaller Nai Thon Beach on the north west coast of Phuket and is a paradise for people looking for a relaxing beach vacation, away from the crowds and the hustle and bustle. 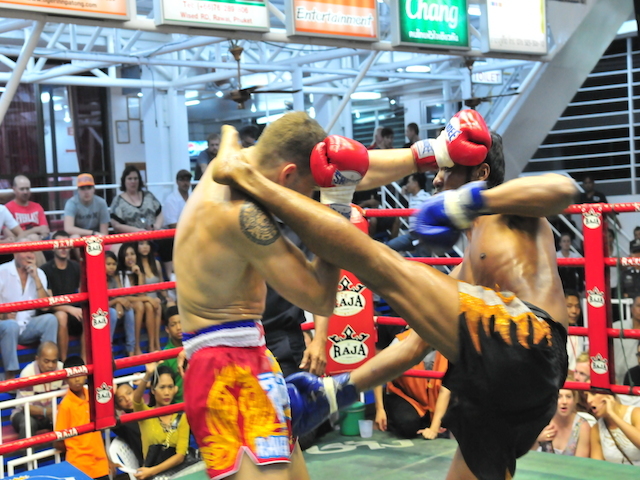 Patong is one of the most lively and popular areas in Phuket and is infamous for its nightlife scene. It also has more upscale choices including a broad selection of culinary delights from street food to fine dining and boutique shopping. 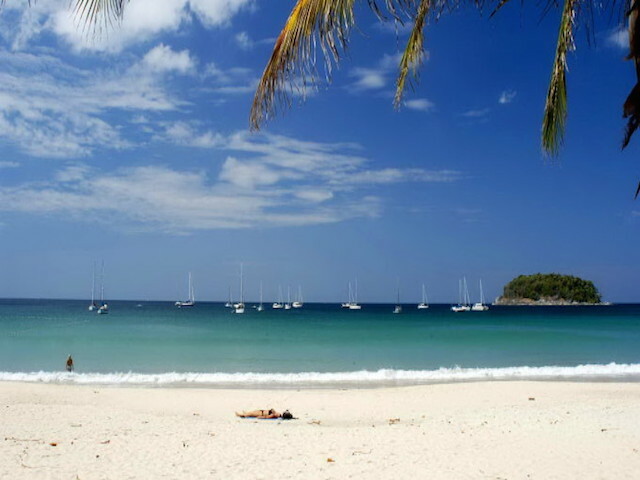 Patong beach, although not undiscovered, is still beautiful. The beach and surrounding areas brim with life and there is a huge choice of watersports. 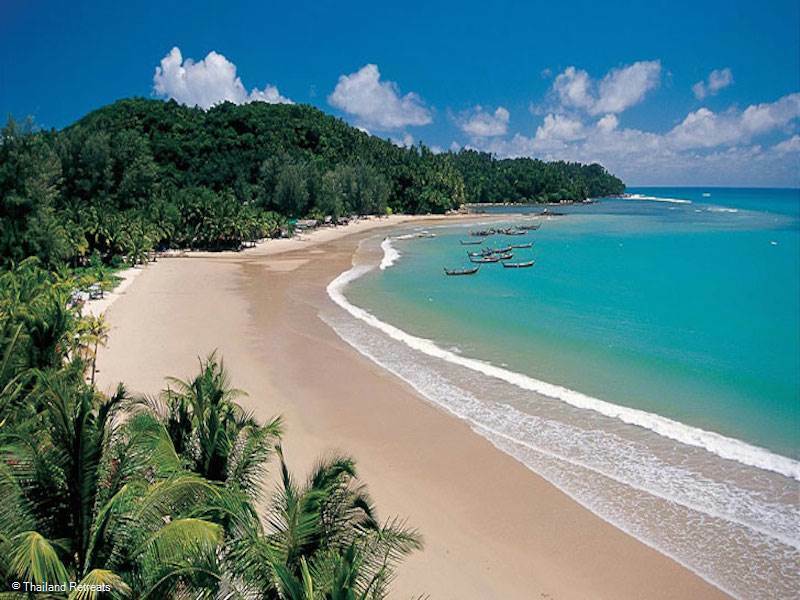 One of the longest beaches in Phuket stretching for 8km with lovely bleached white sand. Some up market resorts are located on this beach set around a series of lagoons that have been converted into Marinas. 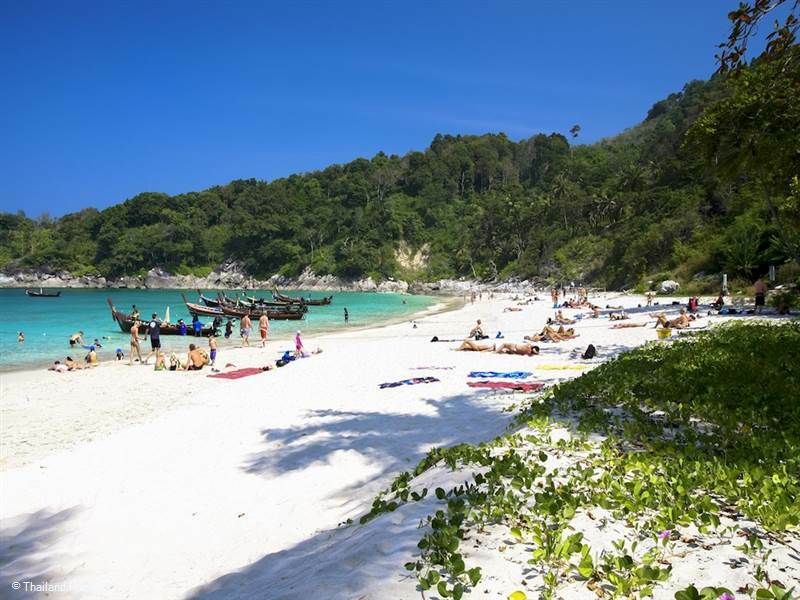 Quite an exclusive and beautiful beach with white sands and turquoise water just north of Patong beach accessed by a short long boat trip from Patong beach or alternatively can be accessed down a number of steps from a parking lot off the main road. 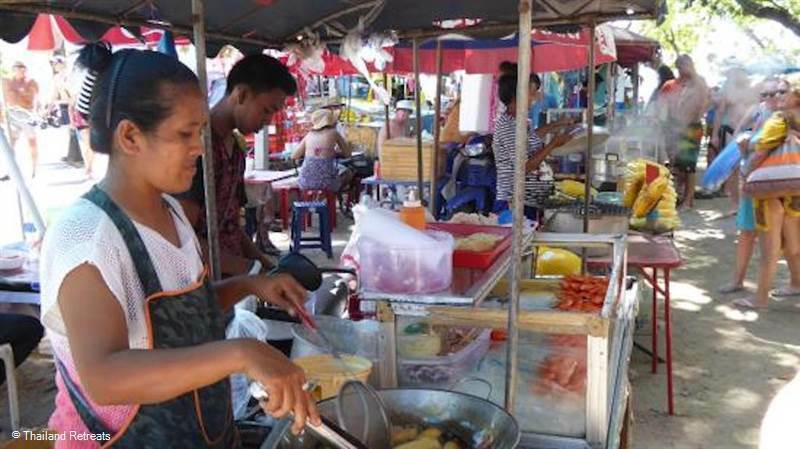 No vendors operate here and is a world away from the hustle and bustle of Patong beach. 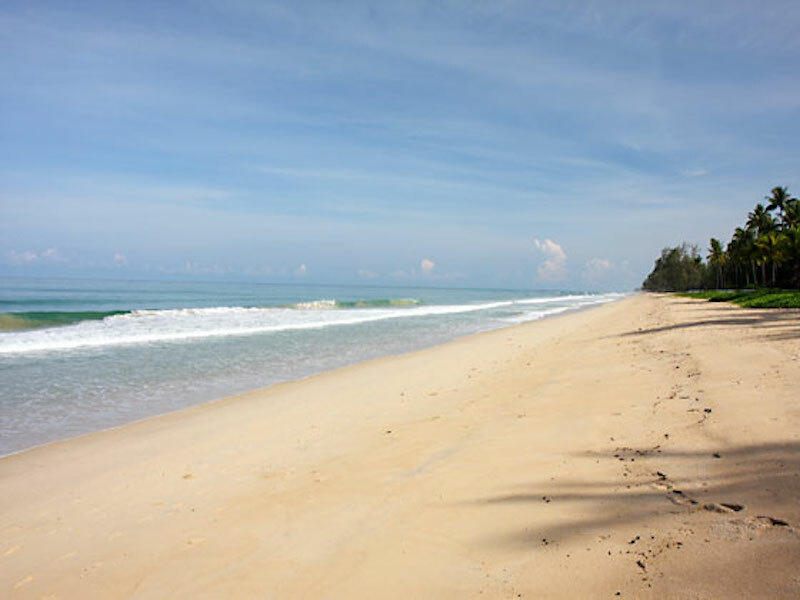 Layan Beach is located just north of Bang Tao Beach and very little boundary between the two beaches. This is a very quiet and beautiful beach especially at the northern end where you would probably have the beach to yourself. 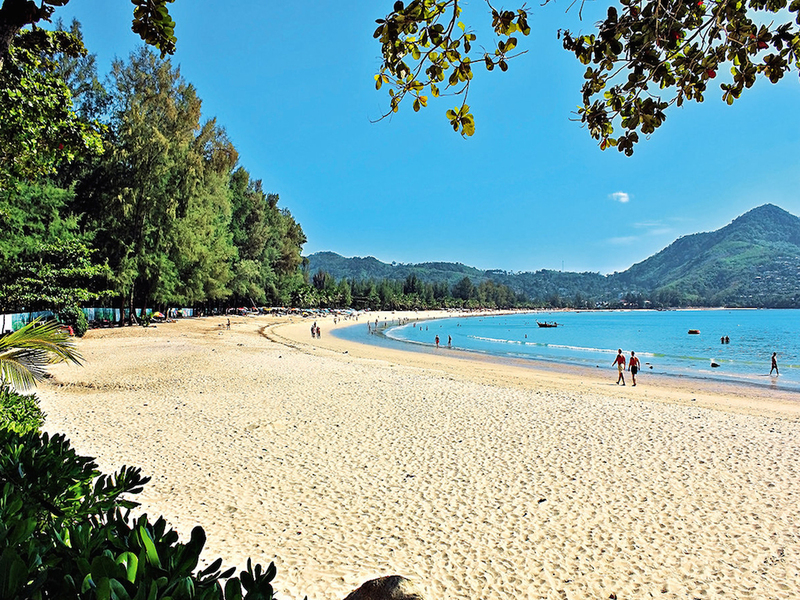 Bordered by pine trees for shade and having a scattering of restaurants at the southern end Layan Beach is popular with residents. 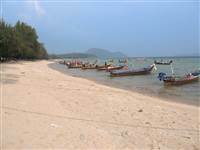 This quieter beach than the other west coast beaches is in a protected bay and popular with locals and expats with a number of shops and restaurants near the shoreline. 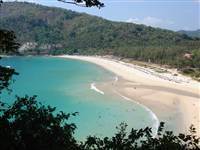 During the high season the water is extremely calm and Nai Harn is a popular anchorage for yachts at this time of year. 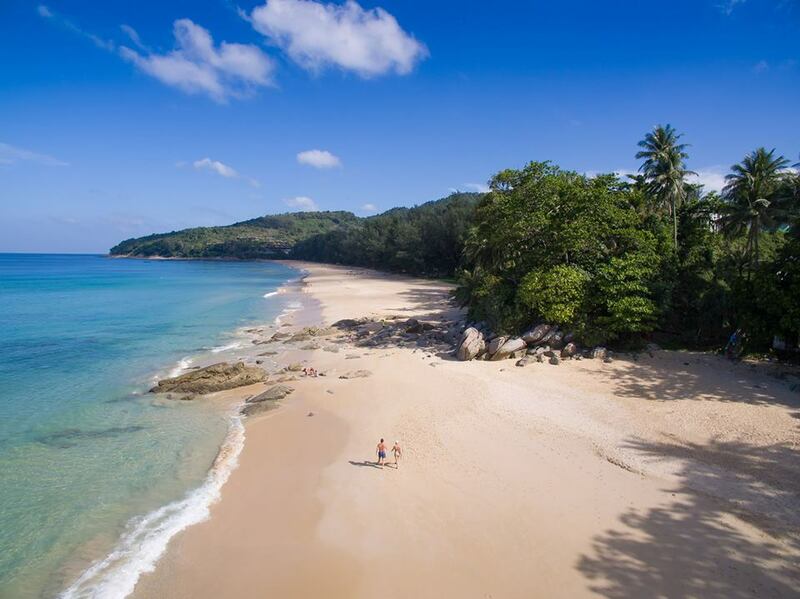 The beach takes it's name from the area and this quiet and pristine Natai Beach stretches for 2km, with a backdrop of rich rainforest scenery and is a pearl that only a few travelers have found so far. Facing the Andaman Sea it has golden sands and clear water and bordered by boutique hotels and luxury villas. 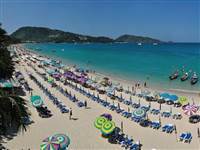 Patong beach is the pulsating heart of Phuket where there is everything going for a fun holiday with a super white soft sand beach and crystal clear water, plenty of watersports, excellent shopping and an abundance of restaurants and bars nearby. What makes this beach popular for some might not be the choice of others. This beach located in the south of the island is not your usual beach destination as it is not a swimming beach having been previously a bustling fishing village and is now favoured by the locals ex pats for it's picturesque setting overlooking nearby islands. One side of the bay is taken up as an anchorage for dozens of long tail boats and speedboats and is a great place to enjoy seafood. 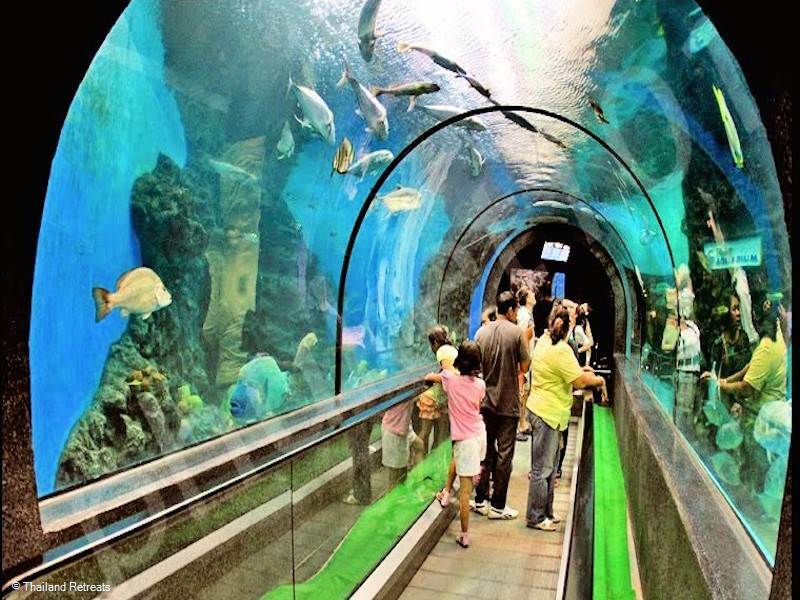 Phuket is a relatively large island, and provides a whole host of attractions for the visitor. 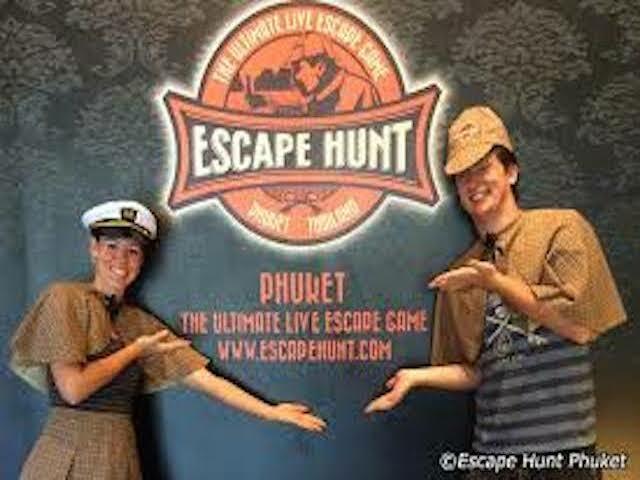 Phuket's great advantage is that there's always something to do on and off the island whether it's raining or shining. From the relaxing, out of-the-way beaches and villages to the hustle and bustle of the tourist strips and Phuket town, there are things to see and do around every corner. Choose to do nothing or everything - the opportunities are endless. 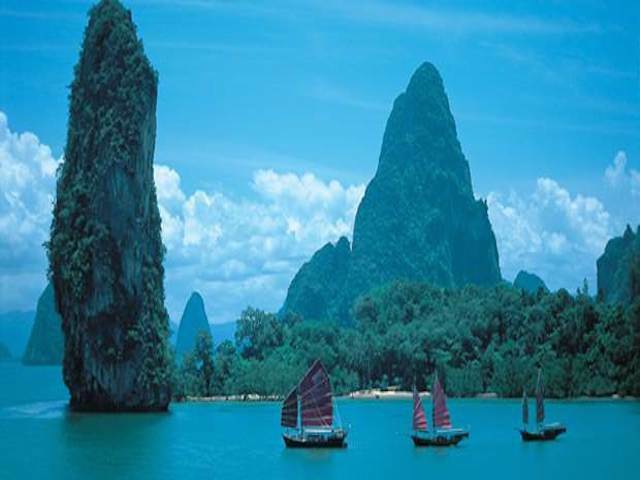 Have a beautiful experience and cruise the amazing islands in Phang Nga Bay even by chinese junk (take a weekend or sunset trip). Yacht charters and sailing lessons are available mostly in Chalong in the south of Phuket. 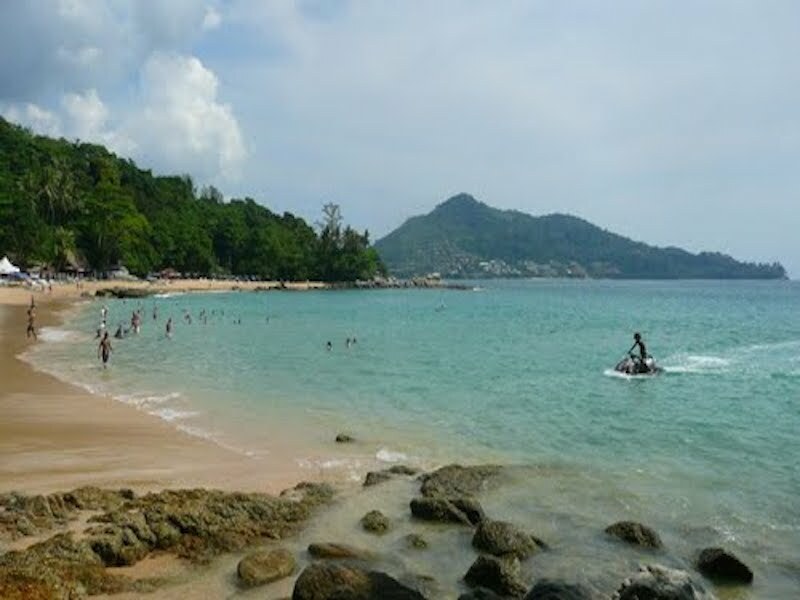 The waters around Phuket are pefect for waterskiing in between November and April and operators located on the busier beaches offer trips as well as the usuall banana boat rides. 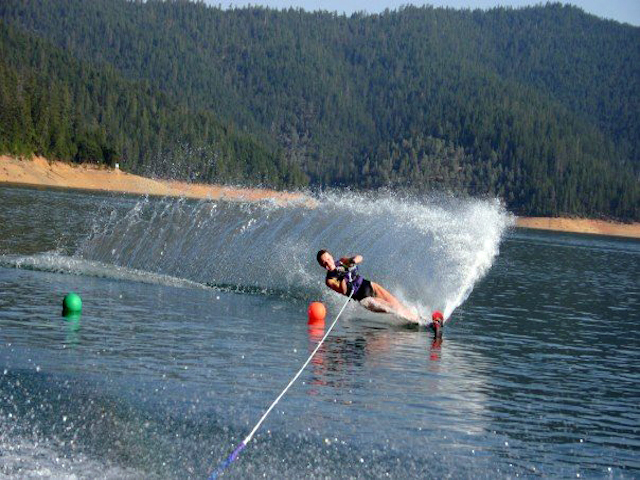 Cable ski and Wakeboarding can be found on an artificial retangular lake inland near Patong. 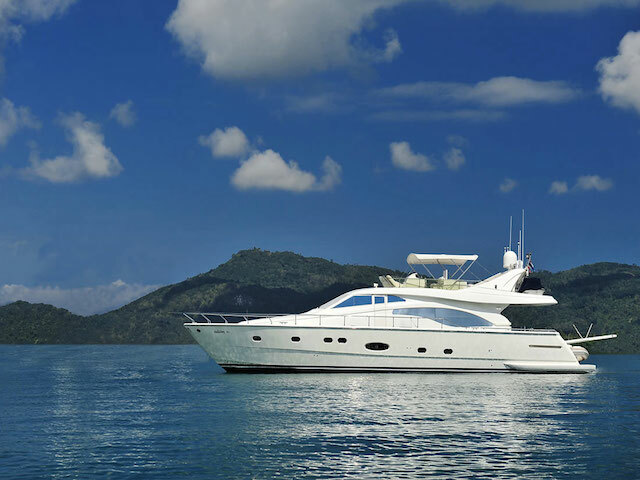 Chartering a yacht in Phuket is one of the most luxurious ways to experience the west coast of Thailand and the beautiful waters of the Andaman. The yacht charter option provides flexibility and comfort. A number of yachts are available for charter on the island. 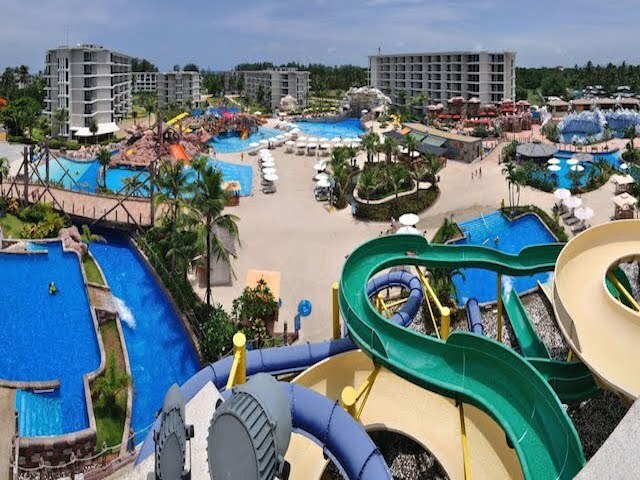 Thrilling rides, exhiliarating slides, lazy river and a 6 level wave pool at the Splash Jungle Waterpark located at the Centara Grand West Sands Resort in the north west of Phuket provide fun for all the family. 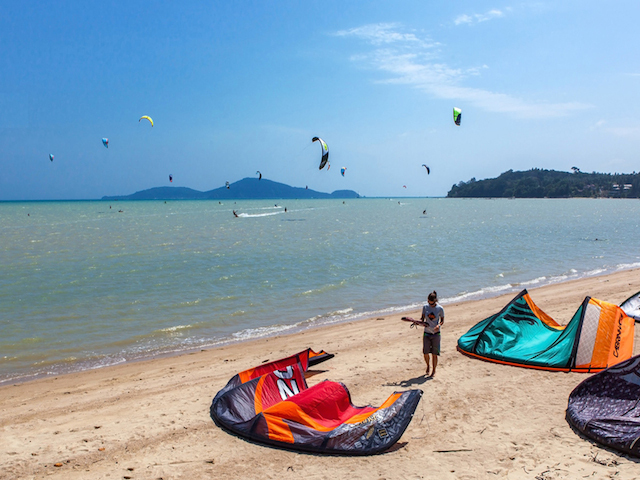 Kitesurfing lessons and kitboarding trips are available from the beaches in the south of Phuket where there is low tides and shallow water on a sandy Bay. Kitesurfing Phuket is based on Friendship beach in Chalong Bay and has a fully equipped shop and reaturant and bar facilities. 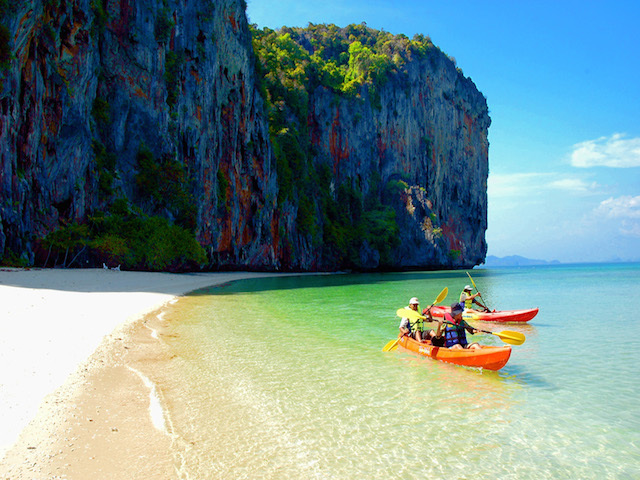 Rent a kayak for a few hours or venture off for a day or so and explore the beautiful islands of Phuket individually. Recommended however are the Kayaking group trips offered including a guide to discover the beauty of the small islands and it's wildlife including monkeys, sea eagles and other birdlife. 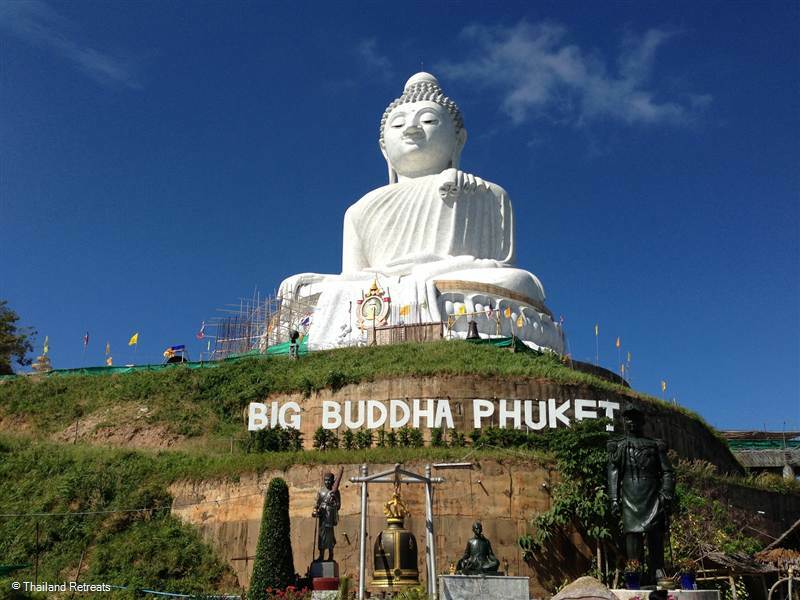 Visit The Big Buddha standing 45metres high looking over the south west and southern bays of Chalong, Rawai and Kata as well as the many temples throughout Phuket that are certainly worth a visit to experience. Khao Phra Thaeo National Park is a jungle region located 20km north of Phuket Town and is great for trekking. There is also a Gibbon rehabilitation project, and two waterfalls that are popular bathing and picnicking spots. 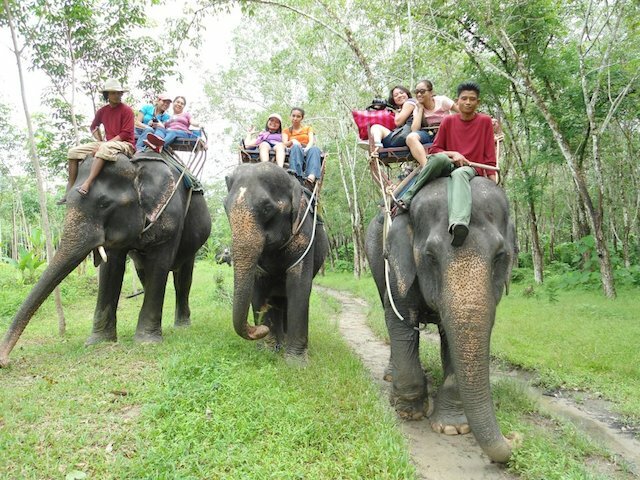 A full day tour may take in canoeing and a visit to an elephant camp. There are 8 golf courses on the island and can be challenging for the beginner or experienced golfer. 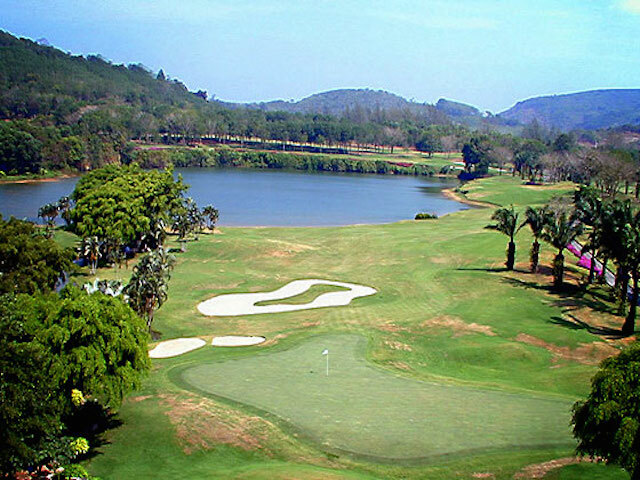 The most well known is the Laguna Phuket Golf Course located in the north west and the Red Mountain Golf Club in the centre. Safe for all the family and well worth a visit. It is exciting, addictive, challenging, educational and above all, fun! Voyage back 100 years in time & play the part of a famous London detective solving our mysteries set in an old house in Phuket. 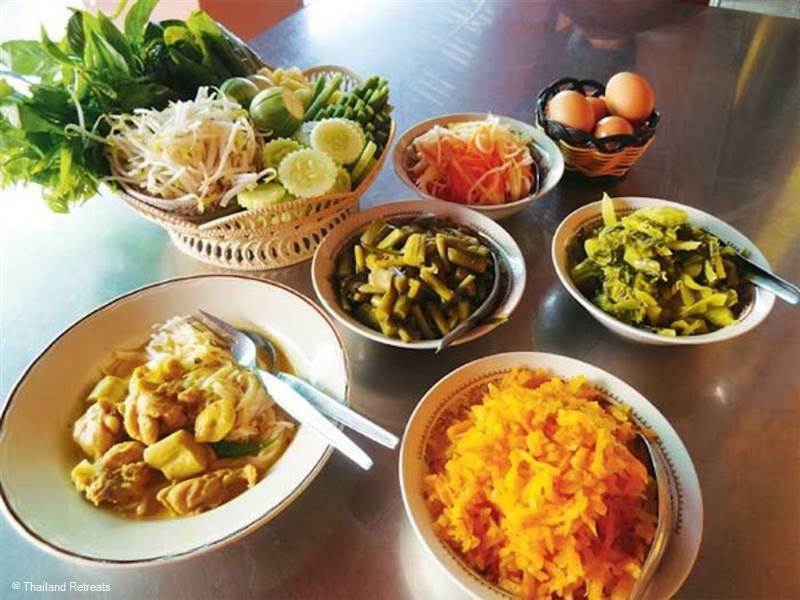 Learn the secrets of authentic Thai Cooking from a number of venues around Phuket. 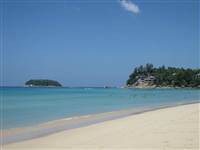 Phuket has upmarket boutiques and antique stores situated in renovated Chinese shophouses, or Sino- Portuguese buildings. 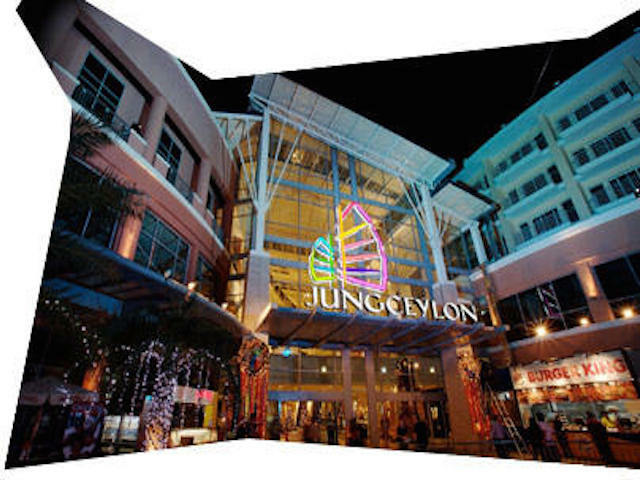 For western stile shopping visit the two mega malls on the island - Jungle Ceylon in Patong and Central Festival on the route to Phuket town. Phuket offers so much for everyone. Walk through some bustling open-air markets laden with the freshest seafood, fruits, vegetables, and sample from vendors selling all manner of tasty treats. Patong is undoubtedly the epicentre of the island's entertainment scene, boasting a wealth of bars, clubs, live music, and cabaret shows, yet there is still plenty to discover around the island, with Kata/Karon and Phuket town offering such a diverse range of clubs and nightspots.